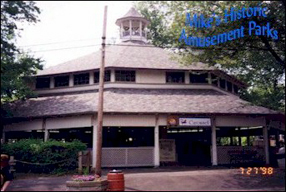 onneaut Lake Park, perhaps one of the greatest lakeside amusement parks, has changed very little in that you can still spend a lazy, warm, summer afternoon on the veranda of the Hotel Conneaut and then get up and grab a ride on one of the greatest classic coasters around. In 1892 Exposition Park opened as an exposition or a fair of sorts that would run all summer long. A visionary by the name of Colonel Frank Mantor founded Conneaut Lake Park at this time under the name Exposition Park. 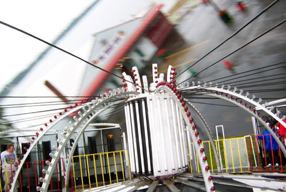 By 1919, more rides were installed causing the park to take on the form of an amusement park. 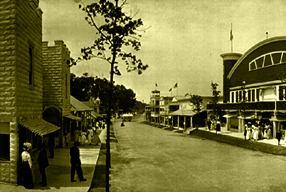 For this reason, the park's name, Exposition Park, was changed to Conneaut Lake Park. The park has had a glorious past, its fair share of ups and downs, and is now in the stages of rehabilitation. Conneaut Lake Park is now held in trust for the people of northwestern Pennsylvania and owned by the Trustees of Conneaut Lake Park, Inc.
With so many sites out there about Conneaut Lake Park I've decided to scale back a bit. Please visit the other sites for more information.